I imagine that we all have seen a movie or television show where the bad guy is being led away in handcuffs while loudly proclaiming to anyone who will listen; “I was framed!” In most cases, this scene is presented to provide a sense of closure and slight comedic relief. We know the acts of the bad guy were his own and we recognize his pleas as what they are; a last desperate attempt to avoid responsibility for his actions. In the real world, claims of being framed are far rarer. The more common defense often raised by attorneys is that their client was “entrapped.” As Wikipedia so aptly states, “Entrapment is the act of a law enforcement agent inducing a person to commit an offense which would be illegal and the person would otherwise have been unlikely to commit.” The important portion of that definition is “and the person would otherwise have been unlikely to commit.” It does a defendant no good to claim that they were entrapped if they had already taken steps toward accomplishing the illegal act before any inducement was offered. But can law enforcement themselves be entrapped? That seems to be the extraordinary claim of the Racine, Wisconsin police department in the case of an open carrier who was arrested for obstructing justice after he apparently refused to identify himself when officers began questioning him for open carrying on the porch of his own home. Whoever knowingly resists or obstructs an officer while such officer is doing any act in an official capacity and with lawful authority, is guilty of a Class A misdemeanor. The issue then becomes a twofold inquiry. First we must ask whether the officers were acting under “lawful authority” when they questioned Rock about his legal activity on his own property and secondly, whether his refusal to answer their questions rises to the level of resistance or obstruction required by the statute. 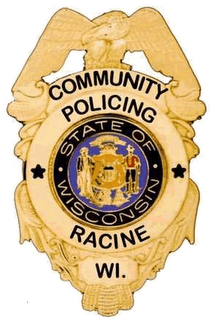 Uh Oh … It appears that the Racine Police Department has a problem already doesn’t it? But we should not consider this analysis dispositive. So let’s move on to the second issue of whether Rock’s refusal to answer the officer’s question was sufficient to constitute resistance or obstruction. However, this statute does not extend so far as to impose a penalty for failure to respond to such a demand. Such a penalty was the subject of a 2004 Supreme Court refinement of Terry in the case of Hiibel v Nevada and the penalty was held to be constitutional, however Hiibel is irrelevant in this case because Wisconsin has enacted no such penalty. In fact, in the July-August 2004 newsletter of the Wisconsin Chiefs of Police Association, this very topic was discussed and Wisconsin officers were cautioned to “Beware of misplaced reliance on Hiibel” because “a person may only be arrested for refusing to identify himself if some statute or ordinance makes it unlawful to so refuse under the circumstances” and Wisconsin has no such statute or ordinance. Are they actually claiming that they were entrapped into making an improper arrest? That is an astonishing claim and one that seems to have little purpose other than possibly setting the stage for a defense should Mr. Rock pursue civil rights claims under 42 U.S.C. § 1983 for false arrest. As both an open carry advocate and a supporter of the very difficult job done by our nation’s law enforcement officers, I do not take pleasure in seeing such a lawsuit filed. It means that we have not yet accomplished our primary goal of educating both citizens and law enforcement about the legality of open carry so that law abiding citizens who choose to exercise their rights may do so without fear of these types of encounters. However, I am not the one who spent 9 hours of his life bereft of liberty and being treated like a common criminal. If Mr. Rock decides to pursue such a course of action, I think he has a very compelling legal story to present to the court. And with the recent release of the memo by Wisconsin Attorney General Van Hollen noting that open carry is legal in Wisconsin, coupled with the clear notification in multiple law enforcement publications and Wisconsin Supreme Court rulings, it seems doubtful that the officers would pass the reasonableness test necessary to enjoy qualified immunity. It is a sad state of affairs for all concerned. But what it does not appear to have been is a setup. This entry was posted in Open Carry, Stop and ID Statutes. Bookmark the permalink.